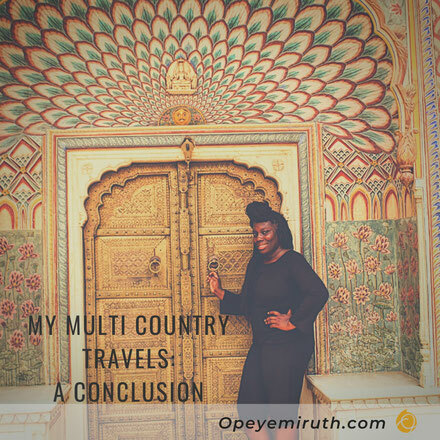 Hey everyone, I'm aware that there may be some information that I missed when blogging about my travels so I will try and cover the basics. All accommodation was sourced through Agoda which had some great deals with the exception of Hong Kong which was found through booking.com. I would highly recommend Agoda as they have good hotels at competitive prices too plus every so often they do deals. We travelled by plane for the most part and flights were found using dohop. This is not the first time that I am using them and I am always able to find good prices with them too. Also, do not be afraid to pay for flights in another currency as at times it may work out cheaper. Our flight from Delhi to Mumbai cost us £25 with Air india after factoring in the conversion rate. We took train from Ho Chi Minh City to Nha Trang which worked out to be around £20, if that. It was a night train and there are different types of tickets available depending on the comfort that you want including beds too. The most expensive ticket was around £42 so it may or could be on par with flight prices if you search well enough. The ride was fine and Vietnam is safe enough to travel around using trains. From Siem Reap to Ho Chi Minh city we took a coach using the Mekong Express. As mentioned before, the first coach was a lot better and was one of their newest 'limousine' style coaches. The cost of using a coach was £25, so not bad and we opted to travel in the day as it is not the safest thing to do at night. When choosing which country to go to first we opted for the one that had the cheapest flight price. Nepal was the cheapest for a single flight and from there on out it worked out well as, like Europe it is easy and cheaper to get around South east Asia once you are in the continent. It also helps to book in advance where you can and if possible. One more thing- Google maps (offline) is bae! You can download city maps for a period of up to one month and I think you are able to downloads up to 5 at a time. Whilst it does not show the time taken to walk to places you can roughly gauge it using the driving time. This app came in so handy especially when taxi drivers tried to rip us off. Like, we know how far the place so don't even think of bumping up the prices. This would take them by surprise but they quicky realised that we are not the ones to try and rip off. I would download the the maps a city in advance and then delete the previous ones so as not to exceed the limit. I cannot recommend this app enough and it really was a lifesaver especially as I did not have data. My friend suggested that we get a Starling card and I am so glad we did as it can be used in any country and you are not charged either. This made things much easier and the card could be used everywhere without any hitches. If you happen to go to Nepal just know that have a closed currency and you can only get it once you are in the country. It is also best to withdraw a good amount of money as you are charged each time you use the ATM. I made the mistake of withdrawing too much money and I also assumed that I would be able to convert Nepalese Rupees in India as they are geographical neighbours. I thought wrong. I was unable to convert it anywhere and so I am still stuck with a good amount left which I will either have to keep until I next go to Nepal or exchange with anyone who happens to go there. Having said that Nepal was the cheapest place out of all the places we went to. The rest of the countries were fair and Hong Kong could be compared to London prices. So, how much should one save for five weeks in Asia? Well. That is purely subjective and up to you. We could have shaved off a few hundreds of pounds if we stayed in hostels but we were not about that life and if you are that is good for you. Different strokes for different folks. We certainly did not stay in five star accommodation throughout apart from Hong Kong where there was a really good deal. For the most part we stayed in 3 to 4 star hotels. Apart from India, we opted for bed and breakfast options everywhere else. A challenge I faced were the differing travel luggage allowances whilst travelling within the continent. There were times where I thought I would have to pay more as a result but it all worked out in the end. I did not buy any local sim and for the duration of my travels I relied solely on Wi-Fi. I mean, who would I be calling that could not wait until I reached a Wi-Fi spot? Kathmandu, Nepal had the best Wi-Fi accessibility and all the restaurants we went to had Wi-Fi making it easy to be connected on the go. In general most restaurants had Wi-Fi so it was easy to surf the web outside of the hotel. India had the worst Wi-Fi accessibility and it was almost nigh on impossible to get restaurants that had Wi-Fi outside of the hotel. All the other countries were ok and Hong Kong also had good Wifi accessibility. Aside from that, the total amount of spending money needed also depends on the attractions you want to see too. I planned out a rough but detailed itinerary that was flexible and where activities were grouped together based on their proximity to each other. It made more sense from a financial perspective and also helps with the flow of things as there is no point going to the other side of a city for an attraction to then come back for another one in a central location to then go back and do another one in that same other side of the city. If you were confused reading that sentence just imagine how exhausting it would be if that was the case in reality? It helped that I don't believe in checking out a place just because it is the 'tourist' thing to do; if I do not want to go I will not go. It doesn't matter if its top of the list of recommended sites and the like. Travel is what you make it and I choose to make mine great. I know that in previous posts I have said 'if you don't check out xyz did you really go?' but it is all tongue in cheek. Go to sites, attractions and places of interest because you want to go and not just because you're meant to go. The only thing I would recommend is to try the local cuisine and also speak and engage with locals- they don't bite. It would be a real shame to go to the other side of the world and eat what you can eat at home. All in all I had a great time. Would I do it again? Definitely. Multi- city travels are not as hard to organise as I initially thought and whilst it requires a good amount of research time it really is worth it in the end. I'd love to do something of the sort again as a solo traveller and also with a special person and then in due time with my own family. Who knows I may even go away for longer next time round? In the meantime, I will make the most of life where I currently live (London) and cherish the memories I created on this trip.